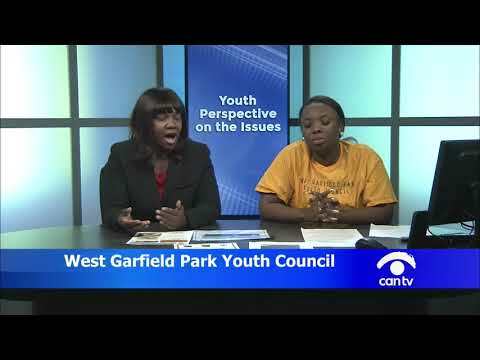 West Side Youth Council - Weekly Television Show on CAN-TV (Cable Channel 21). People and Things You Should Know ! Tune in TONIGHT, May 31, 2018 at 7:00 pm ! The West Garfield Park Community Stakeholders is a consortium of residents, agencies, churches, elected officials, law enforcement, and businesses who work together to improve the quality of life on the West Side. We are actively engaged in efforts to prevent substance abuse by young people and to end youth violence. Our Community Empowerment and Unification meetings are held on the 2nd Monday of each month, at 6:00 pm. SHARP at 3504 W. Lake St. in Chicago. Everyone is always welcome to attend, if you are concerned with the future of the West Garfield Park Community and the welfare of its residents. For additional information, internships and volunteer opportunities, please feel free to contact Fathers Who Care at 773-287-5821 or email us at walter@fatherswhocare.org. The West Garfield Park Community Stakeholders is sponsored in part by The Substance Abuse and Mental Health Services Administration (SAMHSA). Establish and strengthen collaboration among communities, public and private non-profit agencies, federal, state, local and tribal governments to support the efforts of community coalitions working to prevent and reduce substance use among youth. Create opportunities via programs, activities, and events to help direct youth towards positive alternatives to violence as well as teaching them how to become productive citizens through positive civic engagement. Our Vision as stakeholders is to engage a partnership of residents, parents, youth, educational institutions, organizations and public servants with a common goal to reduce violence within the West Garfield Park community. And as stakeholders, our purpose is to reduce violence by strengthening our community through programs, activities, and events that build healthy and productive lives. We support your efforts on our Facebook page. Keep up the great work! Love to see groups like this aimed at decreasing violence and drug use. We need more dedicated individuals like them in the world!